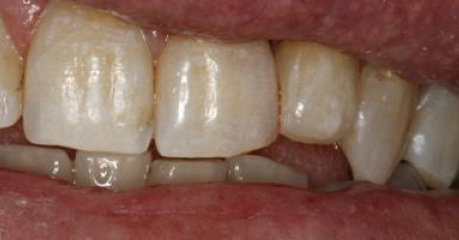 The following photographs show cases personally performed by Dr. Wills. The left photographs are pre existing conditions . 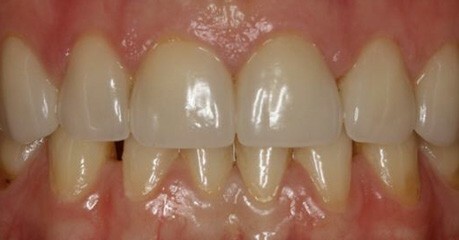 The right photographs are of completed cases. 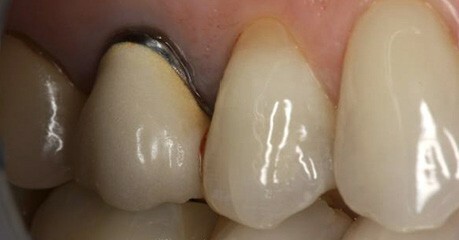 An old porcelain crown with an unattractive metal margin exposed after years of gum recession. 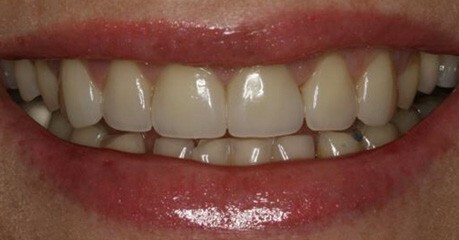 This was rectified in one appointment using CADCAM technology and state of the art computer programmed glazing. 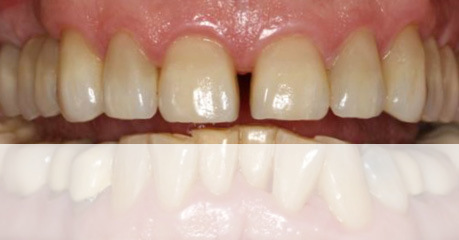 When large numbers of teeth fail both cosmetically and functionally then “Full Oral Makeover is undertaken. 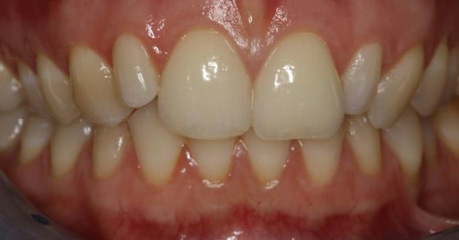 The following cases were rehabilitated utilising natural teeth and implant supported teeth. 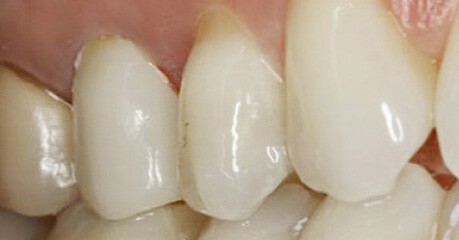 Reconstructed utilizing computer designed implant components and State of the Art E-Max Crowns. 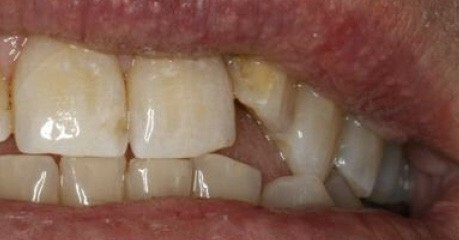 Lost vertical height of bite restored plus gum profile enhanced then same technology as Case 1. 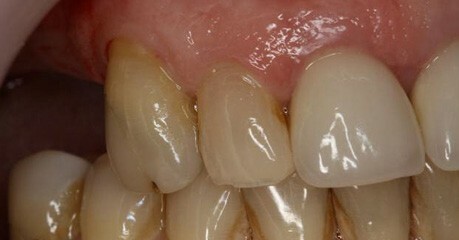 Placing Porcelain Veneers is one of the least invasive ways of enhancing the appearance of unattractive front teeth. Once placed, they look great for many years. 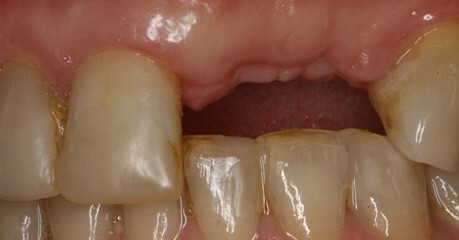 Case 1 illustrates this. Poorly aligned and spaced front teeth were corrected aesthetically using Porcelain Veneers. 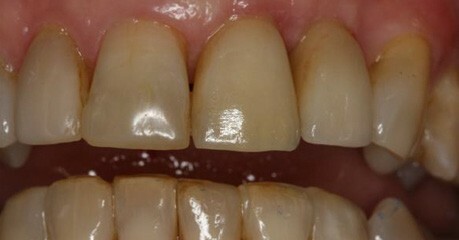 The picture on the right shows the case nine years after the veneers were placed. In complex cases involving multiple implants, thorough treatment planning is essential. Dr Wills and his team consult with patients at no charge to plan and explain all aspects of the prospective treatment. 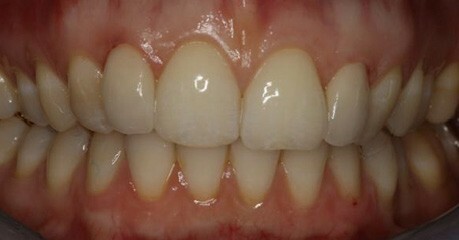 Dr Wills performs “State of the Art” Implant Prosthetic Dentistry in association with a specialist Implant Periodontist. 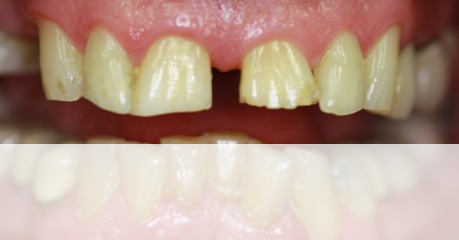 Missing upper right back teeth replaced with implant supported teeth. 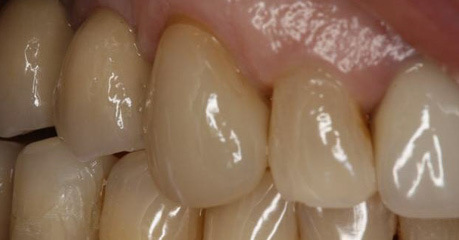 The transition from natural to implant teeth is undetectable.